It’s that time of the year were we like to review the best and worst films, fashion wise, of 2012. Looking back on the year, movies have been pretty average in terms of fashion in the costumes, but some films did catch our eye while we where chomping on our popcorn and getting our filmi dosage in the cinema. On the other side, some films had us leaving the cinema in despair thinking what on earth was the designer/stylist thinking! Scroll down to see which films made it onto our best-dressed list and which unfortunately did not, in this special edition of WHWN. With Kareena Kapoor as the lead of this female-centric film, it was no surprise that the Bollywood Baadshah of fashion Manish Malhotra was brought into design her costumes for Heroine. Manish Malhotra once again proved why he is one of the stars favourite designers as he did a great job in styling the film. The costumes had the glitz and glam that was needed for the storyline. This film saw Vogue India’s fashion director Anaita Shroff Adajania, take control of the styling and boy were we pleased. The styling of the film suited the characters to the tee whether they where stealing gold in the chilly Russia or moving their heist to sunny New Zealand. Players didn’t have much going for it as you all may not but definitely there is no denying that fashion wise it was one helluva a stylish film! The much-awaited sequel to the hit film Dabaang had our eyes glued on the female lead, Sonakshi Sinha, thanks to her colourful and fun wardrobe. Who wouldn’t want some of the saree’s Sonakshi sported? Clearly the marketing team knew this because the entire collection worn by Sonakshi in the film is now up for sale at various saree outlets online and in stores. We will not be surprised in the least bit if we’re told they’re selling like hot cakes! 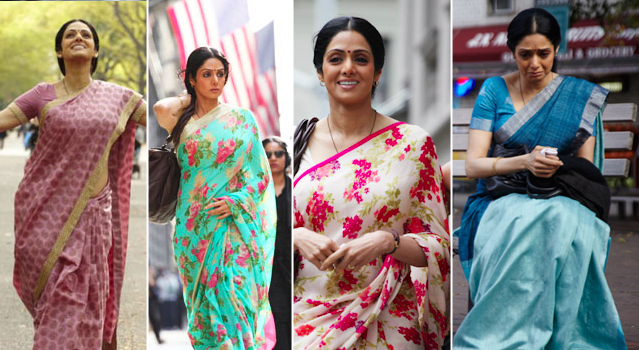 The simple yet effective storyline of English Vinglish made it one of the best films of the year, but it also makes it onto our best costume’s of 2012 thanks to the wonderful wardrobe of saree’s Sridevi’s character, Shashi, sported throughout the film. The cotton saree’s were aptly designed for a Marathi housewife. It was simple yet still caught our eye while fitting perfectly with the down to earth and overall ‘realistic’ feel of the film. Ace designer Sabyasachi is to be credited for the Shashi’s look for the film. He may not style a film often but when he does he makes it a worthwhile time away from the runaway. Anaita Shroff Adajania, fashion director of Vogue India, also was the stylist in charge of the wardrobe’s of Deepika Padukone, Saif Ali Khan and newcomer Diana Penty’s characters in this romantic comedy. And of course, once again we knew we would not be disappointed. Each character was styled in a way to suit their personalities and Anaita certainly did a brilliant job. Not only did she dress them appropriately according to season and character sketch, the clothing was very much in line with the reigning fashion trends of the season such as Aztec prints, pastel color pallets, floral prints and of course, sequins in Deepika’s now reknowned club number. No doubt Anaitha ensures that we remember Cocktail for more than its brilliant performances is but also the fashionable wardrobe. 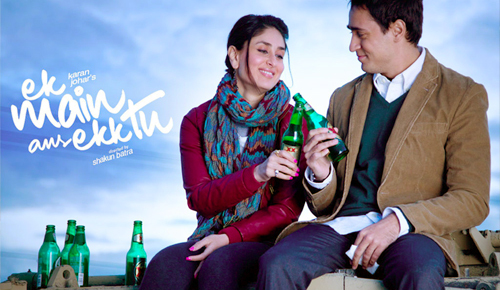 Ek Main Aur Ek Tu was a film with a twist and although the storyline didn’t disappoint the styling unfortunately did. We would have expected better from Manish Malhotra who styled the movie along with Shiraz Siddique and Gopika Malkan. With a storyline that saw the characters spend the majority of the film in Las Vegas there is no excuse for the styling to be as boring and unfashionable as it was. Kareena Kapoor played a fun character and should have had a wardrobe to match rather than the boring denim skirts and awful tops she was seen sporting for the majority of the film. Manish could have had fun with the characters wardrobes just as Anaita Shroff Adajania did in Cocktail. We find yet another big banner on this list and this time a KJO film. Karan’s films have always suffered a case of inappropriate outfits. The characters live in a make believe world where the weather is on dual system. Confused? Let us explain. When the likes of Sana Saeed and Alia Bhat pranced around in summery micro minis or shorts, the men of Student of the Year were looking cosy in multiple layers. (refer to the picture above if you don’t believe us!) Kindly explain to us how the weather of Dehradun affects men and women differently? Generally SOTY was an overwhelming body show of sorts with legs, midrifs and cleavage of all the stars put the forefront more than their acting skills. Yes, we know your leading stars have fabulous bods Karan but let’s try for subtly and less in-your-face next time around. Jab Tak Hai Jaan makes it onto the list of worst dressed simply because the costumes were unrealistic. Anushka Sharma’s character sported summer style clothing that may have looked good but made no sense in the cold weather of Kashmir while Katrina Kaif’s character, who spent the majority of the time walking around in London, in again clothes that really didn’t match the cold weather, even though we may have liked some of those outfits she wore (The white dress of ‘Saans’ being probably the only one). Shah Rukh Khan was the actor whose wardrobe failed him the most, the clothes looked terrible on him and rather than making the actor look youthful it made him look try hard. The film may have done well at the box office, but we for sure did not like the boring wardrobe. Someone needs to give some of the stylists in B’town a copy of Vogue stat so they can learn a bit about fashion for both men and women. Decking out characters in a variety of colourful simple clothes may sound okay but if you get it wrong it can look quite tacky as illustrated on the big screen in Kya Super Kool Hain Hum. With Neeta Lulla behind the costumes I would have expected better for this film unless of course her brief was to make the characters dress in awful clothing, if that is the case then she did well. From the tacky, vulgar clothing Rani Mukerji’s character was wearing to the equally as awful clothing the males wore the costumes failed to impress us and makes Aiyyaa one of the worst styled films in recent times.